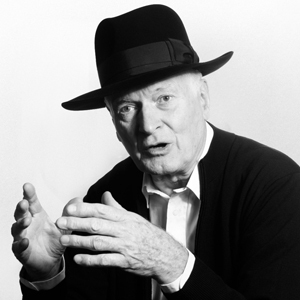 Design Director of Anglepoise® since 2003, Sir Kenneth Grange began his illustrious career as a technical illustrator whilst in National Service. He subsequently made his reputation as an industrial product designer and in association with four partners founded Pentagram, now an international design practice with offices in USA, Germany and London. Not only everyday household brands like Kenwood, Parker, Kodak and Anglepoise® - have received the Kenneth Grange treatment but also the InterCity 125 train, the regional Royal Mail postbox and the London BlackTaxi. Twice winner of the Prince Philip Designers Prize with a string of Design Council Awards to his name, Grange is a Royal Designer for Industry, Gold Medalist of the Chartered Society of Designers, holds six Honorary Doctorates including at the Royal College of Art where he is visiting professor and an FX Lifetime Achievement Award. In 2013 he received a knighthood for services to design.